There are just four weeks until the world premiere of our documentary! From Borehamwood to Hollywood: The Rise and Fall and Rise of Elstree is in the last stages of editing, though we still have a couple more interviews to film – including a special interview tomorrow with British Muppeteer Louise Gold! 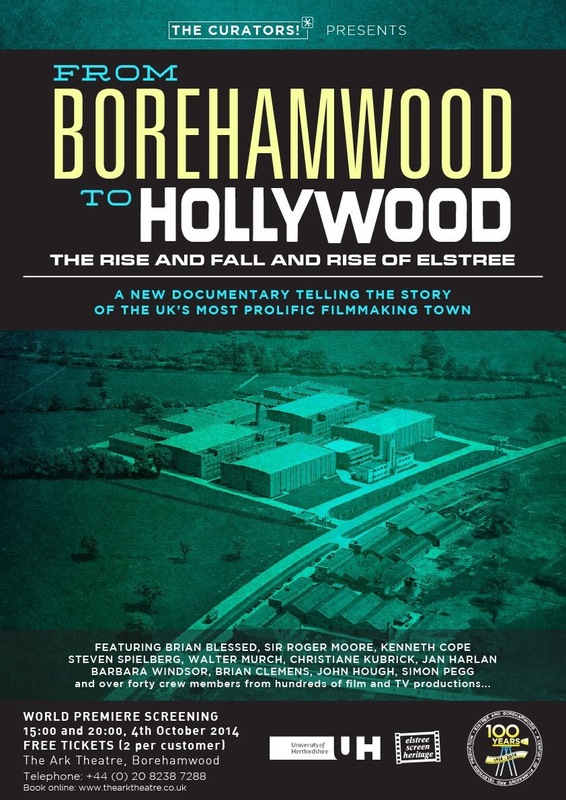 The film tells the story of 100 years of film and television production in Elstree and Borehamwood. Covering the founding of Neptune Studios, talkies and Hitchcock at Elstree Studios, the backlot of MGM-British studios, Lew Grade and ATV, the loss of British and Dominion’s studio, Roger Moore’s exploits in The Saint, the LucasFilm era at Elstree, Danziger’s studios, the demolition of MGM, the Gate and part of Elstree Studios and the current studios and their exciting future prospects. 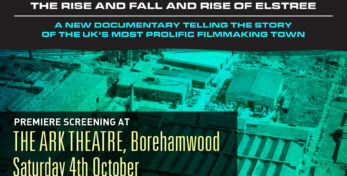 You can book tickets now from www.thearktheatre.co.uk – there are screenings at 15:00 and 20:00, and tickets are FREE!